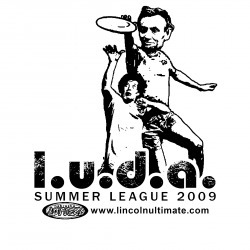 Congratulations to Horton Hucks A Hammer for winning the Summer League 2009 tournament and taking home the coveted LUDA Cup! See the slideshow of Horton's championship game against Squishy Bananas, the presentation of prizes to the regular season champs, and the presentation of the LUDA Cup below. Presentation Of The Coveted LUDA Cup!